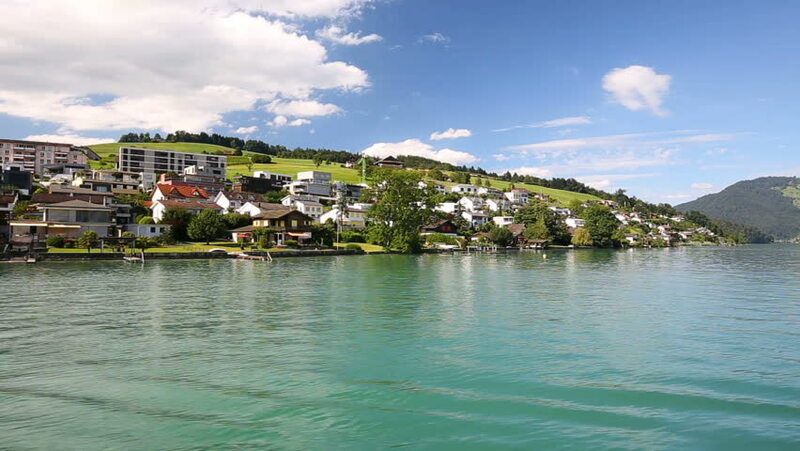 ZUG, SWITZERLAND - August 27, 2016 - Beautiful Swiss landscape from boat with houses and Swiss Alps, Switzerland, Europe. hd00:22ZUG, SWITZERLAND - August 27, 2016 - Beautiful Swiss landscape from boat with houses and Swiss Alps, Switzerland, Europe. 4k00:17Elite hotel on the shore of Kotor Bay in Montenegro. Aerial shooting from a height with the help of a drone.